Sushizu is a high quality vinegar designed to add sweet sophistication to your sushi rice. It is made from a fine mixture of carefully balanced natural foods: pure rice vinegar, kombu seaweed, amazake and hon mirin. Rice vinegar, amazake, hon mirin, sweetners (with sugar and high-fructose corn syrup), kombu seaweed. Skilled craftsman Keiji Kosaka relies on three generations of family experience to create Marusho fermented and flavoured vinegars using the same techniques that were employed 200 years ago. 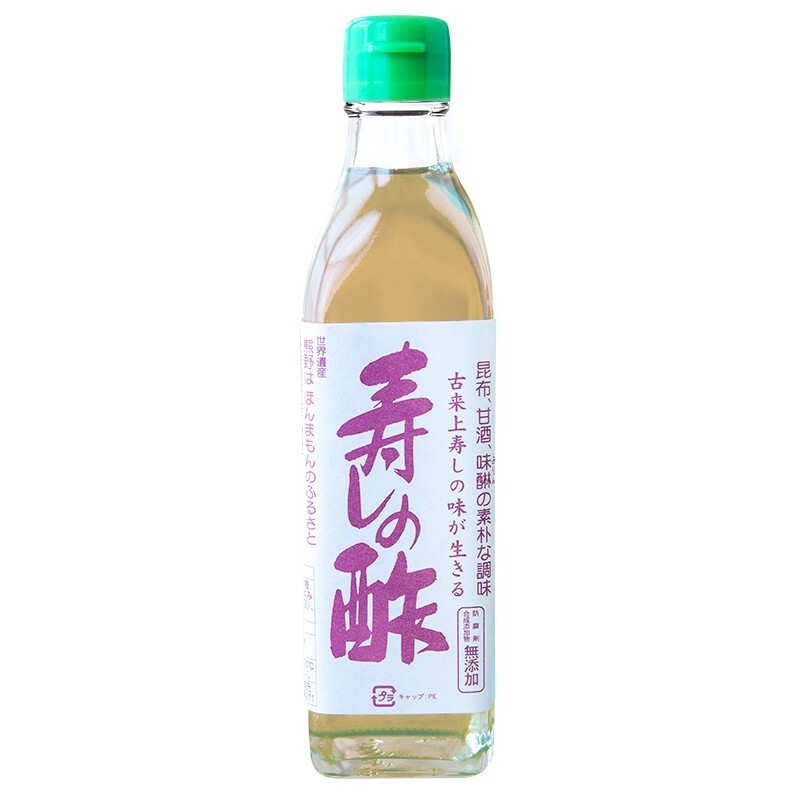 Fermented for up to 500 days in the original Japanese cedar wood casks the vinegars are enhanced with rice grown on the family estate, water from the Kumano Mountains and only the highest quality natural ingredients. 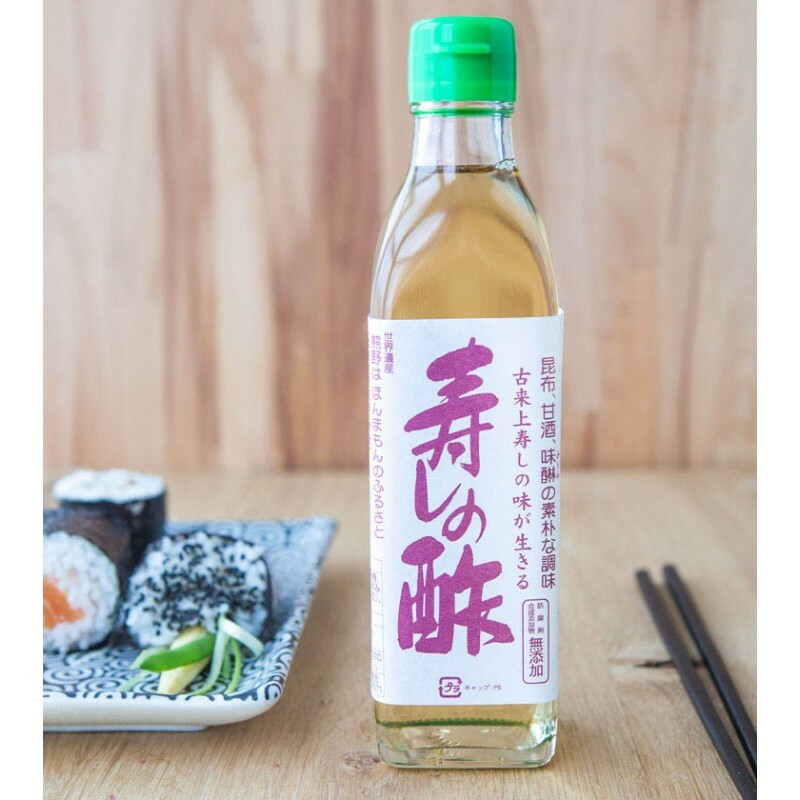 Renowned for their quality and consistency these vinegars are used by master sushi chefs and home cooks alike to deliver the authentic and sophisticate d flavour of traditional Japanese cuisine. Thinly sliced Chinese radish filled with a hot-smoked salmon and crème fraîche mixture along with mixed seaweed soaked in Sushizu sushi vinegar. 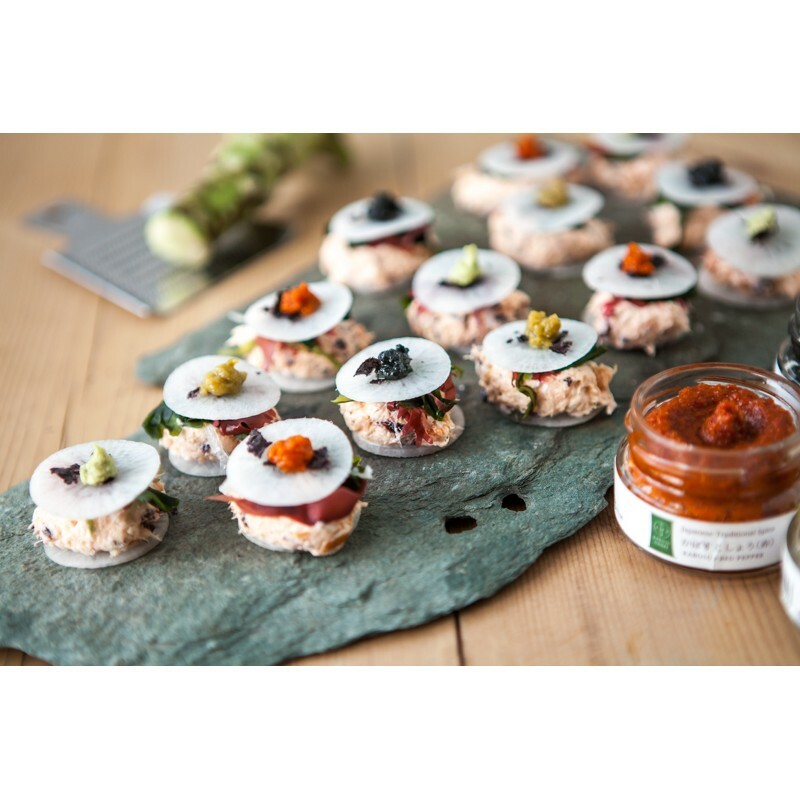 Topped with just a taste of green, re d, and black Kosho paste for a zingy and refreshing heat that complements the richness of the filling perfectly.